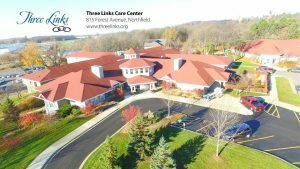 Do you have questions about a possible Nursing Home Falls case? Contact us now using this confidential form. We'll help you get answers. Unfortunately, falls in older people are common. But many falls are preventable if a nursing home is willing to spend the money to properly staff a facility. 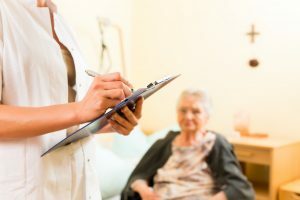 In this article, we’ll cover nursing home fall statistics, how to investigate and prosecute a nursing home fall lawsuit, and how to find a nursing home fall lawyer. Are Nursing Home Resident Falls Preventable? What are the Most Common Causes of Nursing Home Falls? How Can We Prevent Falls In Nursing Homes? Does a Resident Fall Mean a Nursing Home was Negligent or Neglectful? How Do You Prove Nursing Home Neglect or Negligence Caused a Resident Fall? What does a Comprehensive Fall Assessment and Proper Fall Protocol Look Like? What Tools Can Be Used to Assess and Prevent Nursing Home Falls? How do I Hire You to be my Nursing Home Falls Lawyer? According to the Centers for Disease Control and Prevention, about 1,800 older adults living in nursing homes die each year from injuries related to falls, such as broken bones and head trauma. [i] Given that only about 10% to 20% of nursing home falls cause serious injuries, and only 2% to 6% cause fractures, the reality is that far too many older Americans are falling in nursing homes. When a nursing home resident falls, the result can include traumatic injuries, disability, functional decline, and reduced quality of life. What’s worse, the resident may now have a much more severe fear of falling that can cause depression, additional functional decline, a sense of helplessness, or isolation. Yes. The Centers for Disease Control and Prevention has identified a number of things nursing homes can do to help prevent falls, such as reviewing prescribed drugs to assess their risk (some drugs can make a person dizzy, disoriented, or lose their balance), installing grab bars so the resident is able to steady their self, and better training for nursing home staff. All of these factors are linked to an increased risk for falls. [iii] It is a nursing home’s job to identify, assess, and respond to these risks to minimize the chance of a fall. When a nursing home does not do its job, and as a result, the resident is injured in a fall, the nursing home should be held accountable for the harm that results. When it comes to preventing nursing home falls, there are three levels to consider: fall prevention interventions implemented at the organizational, staff or patient level. While families tend to consider only the patient level—is the nursing home providing the resident with appropriate care to prevent a fall?—there can be a breakdown at the organizational or staff level that makes providing adequate care difficult or impossible. It doesn’t matter if the right interventions are in place if the staff caring for your parent does not get the information, training, or time needed to implement them. I most often have cases involving that type of breakdown: the right interventions on paper, but the staff was not given the message, or the opportunity, to properly implement them. Educating and training nursing home staff to understand fall risk factors and prevention strategies. Improving the nursing home environment to make it easier for residents to move safely, such as grab bars, raised toilet seats, lower-height beds, and hallway handrails. Assessing prescription medications for the potential risks of falling, and ensuring minimal use to accomplish the medical goals. Assessing resident fall risk thoroughly and regularly. Assessing what happened and how to correct the issue after a nursing home resident fall to improve the system and the resident’s underlying medical conditions. Nursing home resident exercise programs to improve balance, strength, walking ability, and physical functioning. Tool such as bed and wheelchair alarms, floor mats, two-person assists with transfers and bed mobility, non-slip footwear. Most nursing homes “have seen a drop in fall-related injuries” since anti-restraint regulations were implemented. 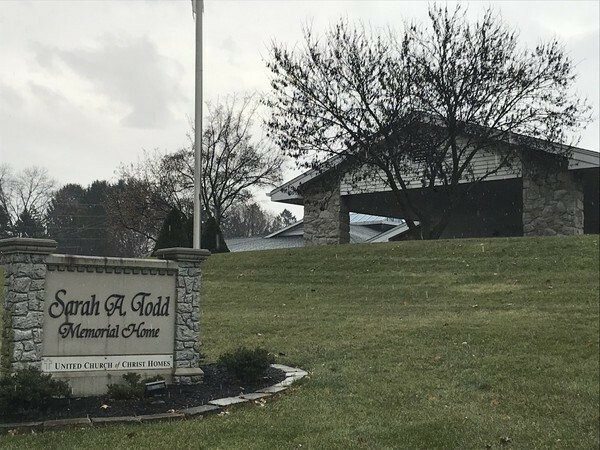 Federal nursing home regulations and their Ohio counterparts also require nursing homes to provide every resident with an assessment done when they enter the facility, and regularly updated thereafter, including whenever there is a significant change in a resident’s medical condition. If the nursing home fails to comply with these or any of the myriad other regulations, and a resident is injured, the nursing home is responsible for the harm that results. We’re lawyers who sue nursing homes for things like preventable resident falls. If you would like to discuss your loved one’s situation, injuries, or death at a nursing home, call us at 844-529-4253. It can be difficult to prove exactly how a fall occurred without an attorney experienced in nursing home fall cases. This is not simply a slip-and-fall case. There are specific state and federal requirements for assessing and addressing nursing home resident fall risk. Nutritionist and social worker notes. Video and photographic evidence—which can require a fight to get, including visiting the scene to establish what cameras exist and what they saw. Other residents’ as witnesses of the fall, the resident’s abilities and needs, nursing home staffing levels, etc. Current and former nursing and physical therapy staff members. The nursing home’s history of fall and other resident injury events. The nursing notes and nursing aide records showing who did what, when (or, at least, what they say they did). State Medicaid and Federal Medicare records, rules, and regulations. Deposing the Director of Nursing and Administrator, and often corporate representatives up the chain of command that really control the purse strings and staffing levels. Every nursing home fall case is different, but nursing homes are all too often the same: putting money into profits instead of adequate care, usually by cutting staff and staff pay (resulting in high staff burnout, turnover, stress, and mistakes). 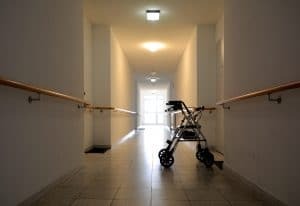 Suing a nursing home for a fall requires a skilled lawyer or law firm who understands the state and federal regulations that govern nursing home fall prevention. Investigating the nursing home and parent company: gathering information about this facility and, if appropriate, the parent company, to verify why the fall occurred in the bigger picture–usually understaffing. Prosecuting the claim in court by making them answer written questions (“discovery requests”), having witnesses testify under oath (“deposition”), and trial. The whole process can take anywhere from 6 months to a couple years or–in rare cases–longer. Most of that time, you won’t have to be doing anything. Your lawyers should be, though! Nursing homes hire experienced lawsuit defense lawyers, and they have lots of money to spend. But in the end, you have the power to make them be judged by a jury of your peers if you have a valid claim. The vast majority of nursing home fall lawsuits–really, any lawsuit–resolves before trial by both sides agreeing to settle the case for a certain amount of money (a “settlement”). We believe your lawyer should be working the case up like it will be tried in court, however. That’s because if you prepare for trial, you’re much more likely to increase the value of the case. Lazy lawyering means lower value for a case. When a fall occurs at a nursing home or rehabilitation facility, there are protocols in place to make sure that the person who fell is examined and injuries are treated accordingly. In the event that they are not followed, the person who fell is at risk to dangerous complications from the fall. It is imperative that you understand the risks to your loved one if protocol is not followed. Evaluate and monitor the resident for 72 hours after the fall. Record Circumstances, resident outcome and staff response. FAX alert to primary care provider. Implement immediate intervention within first 24 hours. Monitor staff compliance and resident response. They also outline that steps one through three should be implemented in the first twenty-four hours, that steps five through seven should be implemented within one to seven days, and that step eight should be monitored for at least six months. If you believe that a loved one’s fall was not reported or documented, it is important that you discuss this with the proper healthcare provider. Not reporting an incident such as a fall could result in long term complications or serious injury that could lead to death. Even if a fall was reported and documented, it is possible for injuries to be overlooked because of poor documentation or inaccurate data collection. Managed Health Care Connect points out that issues with understaffing and increasing time and budget constraints has led to less attention to reviews on fall risk assessments and root cause analyses. MHCC recommends that the investigation begins immediately, at the time of the event while the working staff is still on shift. They believe that this strategy provides the most accurate way to make a comprehensive report on a resident’s fall. They suggest that in order to reduce the number of falls at a facility requires what they describe as an organized, consistent approach with straightforward reporting of the fall, while involving the resident’s family and an interdisciplinary care team. By involving both a team of physicians and the resident’s family, it is possible to identify trends, match fall interventions to a resident’s fall risks. According to the Agency for Healthcare Research and Quality it is important to identify factors that increase a resident’s potential risk of falling. The Morse Scale is a tool that can be used to predict the risk of future falls and use these risk factors for prevention and also to plan the resident’s care. They recommend that this tool be used with a clinical assessment and a review of medications. Another tool that can be useful is a Mobility Algorithm tool. All of these tools can help care professionals identify risk factors that could prevent a person from falling. If you feel that your loved one is at risk of falling, ask the care facility if they utilize tools such as these to evaluate their potential risks. Have them explain how they assess the risk of falling as well as methods they use to prevent falls. It is important to identify all risk factors and speak with a healthcare professional about a plan to prevent your loved one from falling including evaluating which medications they are taking and their ability to move. In addition to this, the Agency for Healthcare and Quality also states that this evaluation should be utilized in regular intervals to fully assess a resident’s risk for falling. It should also be utilized in conjunction with a medication-related risk assessment tool that would be performed by a pharmacist. A treating medical provider can also suggest a Mobility Algorithm test be performed. A nurse or nursing assistant can perform this test to determine fall risks in patients who were not primarily admitted to a care facility for mobility related reasons. By utilizing this tool, healthcare professionals can evaluate a person’s ability to move about in order to prevent them from falling. This is another example of a tool that can be used to analyze potential fall risk factors. Do you feel that a nursing or care facility has failed to analyze your loved one’s risks for falling? Have they fallen and future risks been ignored? It is very important to evaluate the risks for falling in order to prevent serious injury and even death. Do not hesitate, ask the facility taking care of you or your loved one’s care today. 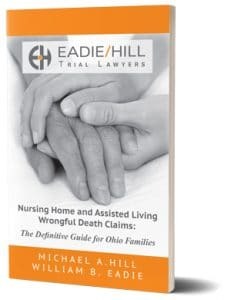 Nursing home neglect and abuse lawyers Eadie Hill Trial Lawyers, on behalf of the family of Mary Blody, have filed a lawsuit against Ohio's Pristine Senior Living & Post-Acute Care of Fremont (Pristine Fremont). On November 20th, 2017, Mary died of complications related to a horrific fall. According to the lawsuit that was filed by Eadie Hill Trial Lawyers, in November 2017, Mary Body's family found her with a head injury and bleeding. Unattended to by staff at Pristine Fremont, Mary was left for six days without being hospitalized. Mary's family found her unresponsive and she was taken by ambulance to the hospital where she passed away. The lawsuit cites negligence on the part of Pristine Fremont that ultimately led to the untimely death of Mary. You can read the full lawsuit here. According to the lawsuit, Pristine Fremont failed to provide the proper care for Mary Body. Eadie Hill Trial Lawyers alleges that Pristine Fremont failed to put into place the proper precautions to prevent Mary from falling. Upon being admitted to a short term rehabilitation stay at Pristine Fremont, Mary displayed risks of falling that were ignored and not reported by staff at Pristine Fremont. They knew that she was at risk for falling and they were aware of this. Yet, they failed to prevent her for suffering from a horrific fall that ultimately led to her death. In addition to failing to prevent her from falling they failed to respond to her medical needs after she fell. They also failed to provide adequate staff to handle Mary's injuries after she fell. the death of a resident who was “a high risk for falls due to an unsteady gait, visual disturbances, seizure disorder and bladder dysfunction.” To avoid potential injury, she was supposed to be supervised by someone “in proximity to the bathroom door” when she used the toilet. HarmarVillage indicated that all direct care staff would undergo new training related to fall intervention and a new data system would be used to keep employees aware of all residents’ level of fall risk. Patients who are at risk include patients who have had a fall in the past 3 months, are taking medications that may increase falls such as Benzodiazepines or hypertension medication, or patients that have an unsteady gait. 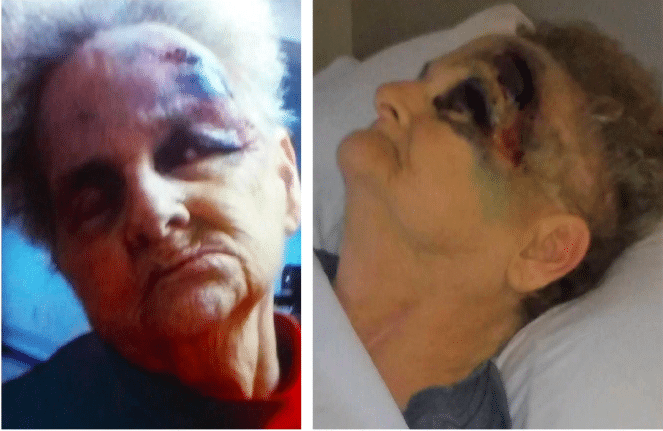 "The complaint alleges Asbury breached its duty to Theis in many ways, including by failing to ensure nursing personnel evaluated her to ensure she received adequate supervision and assistance to prevent falls; failing to oversee a comprehensive assessment of Theis' needs to determine fall risk; and failing to make an appropriate care plan to prevent falls.The complaint also states Asbury failed to appropriately train staff and follow its own policies and procedures for supervising residents." On Feb. 5, 2014, Dove was in his wheelchair, waiting, near the entryway to the dining room, for dinner to be served. A supervising registered nurse asked another registered nurse to push him into the room. But the second nurse pushed his wheelchair fast and recklessly down the hall toward the dining room without giving Dove warning or attaching footrests - a violation of safety standards. This motion flung Dove from his wheelchair. He hit his head on the floor and broke his neck. The nurses rolled him over -- failing to immobilize him -- placed him back in his wheelchair and then moved him into his bed. Dove suffered cervical spine fractures of the C1 and C2 and an odontoid fracture with displacement, as well as neurological damage. He was transferred to the Penn State Milton S. Hershey Medical Center, where he died the following day. [iii] Ejaz FK, Jones JA, Rose MS. Falls among nursing home residents: an examination of incident reports before and after restraint reduction programs. Journal of the American Geriatrics Society 1994;42(9):960–4.